Grimm: Spoiler Images From Episode 17 "Love Sick"
In the episode, Nick comes face to face with Adalind (Claire Coffee), who turns out to be Hank’s mystery dinner date. Oops. Captain Renard also has his own conflict, when foreign representatives of his royal bloodline pay a visit and threaten his position. 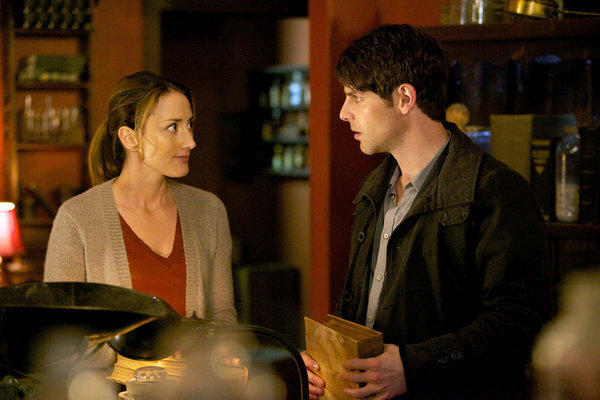 Monroe gets his own story too, as he and Rosalee (Bree Turner) are called into action when the lives of Hank and Sgt. Wu (Reggie Lee) hang in the balance.